Stuck between the speakers listening to sounds which catapulted one into outer spheres. sounds stream to my ears, sounds which have tight knots with those old roots. 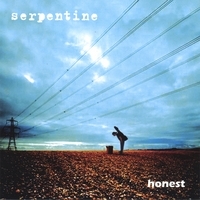 Serpentine reminds may remind you at first of listening to a mixture of early Pink Floyd and "Viva-La Düsseldorf" and oddly various old film scores. playful mixed modern elements are like a musical visit of modernity within a secondhand shop. Brilliant! definitely going on an independent path. In contemporary times of fast living hits and superstars, Serpentine is not only for themusical Switzerland an absolute relief. In one sense it is its own galaxy without it, the sky would be much darker. Mindboggling surrealist pop from Swiss multi-instrumentalist and studio-freak Jan Zimmerly and drummer Serge Olar. Think of Zimmerly as Richard Swift in full-on discombobulation mode with monumental orchestrations balanced by lovingly tarnished recording values. At times it's seriously dynamic and oddly compelling sound-collage while at others it falls somewhere between the Beatles White Album meets Pink Floyd's Meddle, with a hint of Radiohead's the Bends. Ultra-dramatic, over-dynamic, driven by the rich traditions of folk and psychedelia yet consummated within the elemental crackle of Jan's studio wizardry. Likened elsewhere to Kraftwerk/Neu! member Klaus Dinger's La Dusseldorf project's stylish progressive rock symphonies and again early Pink Floyd.